When the Charlotte Hornets revealed their jerseys yesterday, eagle-eyed observers like Uni Watch's Paul Lukas noticed something odd—the NBA logo, which had previously appeared on jerseys on the upper left chest area, had been moved to the back of the uniform. That's an awful lot of blank space created, but worry not; the NBA knows exactly what to do with it. 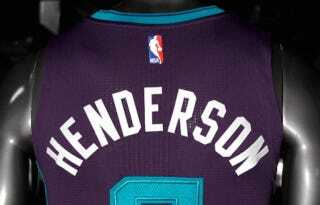 The Hornets are merely the first to show off the change for next year. The NBA confirmed that all 30 teams will see the logo—the iconic Jerry West silhouette—moved to the back center of their uniforms. That'll replace the team logos that 18 teams currently have there, like the Nets' basketball logo. The front will be bare, for now. A league spokesman called it a "stylistic move," but ads are coming. Advertisements on uniforms are "inevitable," Adam Silver said at a sports business conference earlier this year. The association considered adding them two years ago, citing its own studies that jersey ads would bring in $100 million a year, but tabled a formal vote. At the time, the plan was to introduce ads in the form of a 2.5" x 2.5" patch, to be placed—well, exactly where the NBA logo used to be. The NBA was always going to be the first to do this. Basketball is the most international of America's homegrown sports, and enormous ads on jerseys are de rigueur throughout Europe and Asia. 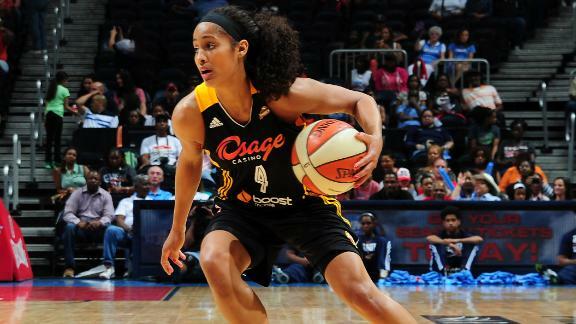 And the league clearly has no qualms about it—watch a WNBA game sometime.